On August 21st, a group of Chicago grill masters will enter a BBQ kumite, one will emerge as Thrillist’s Taste of Summer champion, and we'll all be better off for it. There will be flamed meats, cold beer, and you, if you’re wise enough to attend. 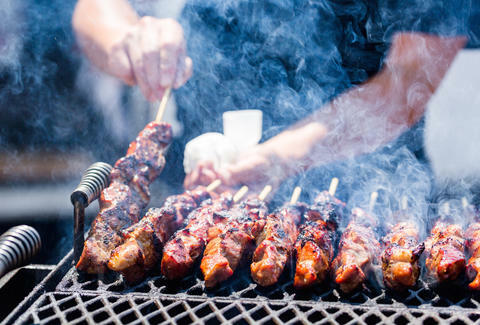 The Taste of Summer event (presented by us) happens at the Bridgeport Art Center from 1-4pm on Sunday and features dishes like wild boar ribs from Frontier, pulled pork sliders from Porkchop, smoked beef brisket tacos from Taco Joint, and more, all of which YOU'LL GET TO DEVOUR. Try every dish, vote on your favorites then beeline to the fries station packed with bacon, caramelized onions, chili nacho cheese, truffle aioli, Sriracha ketchup -- basically everything you'd ever want to load them with. The recommended pairings are Miller Lite, Leinenkugel's, Smith & Forge hard cider, and a litany of lawn games. You can even try you hand at beating a professional arm wrestler (albeit with lower stakes than Over the Top, but still). Tickets are only $40 and available here. Sean Cooley is Thrillist's cities senior editor and he will grill you over your grilling preferences. Follow him: @SeanCooley.